Another in the VK3PF/7 S2S challenge series! This is private property however all the recent bushwalking blogs says that the property owner is happy for bushwalkers to walk the track so long as they respect the property and use the golden gate rule! – If a gate is open – leave it open – if it is closed – then closed it behind you! There are also electric fences through-out this property and so caution is required here as well! Follow the main track and this is a easy walk then through a few gates you reach the main slope which starts at a sign saying 4WD Access Only. 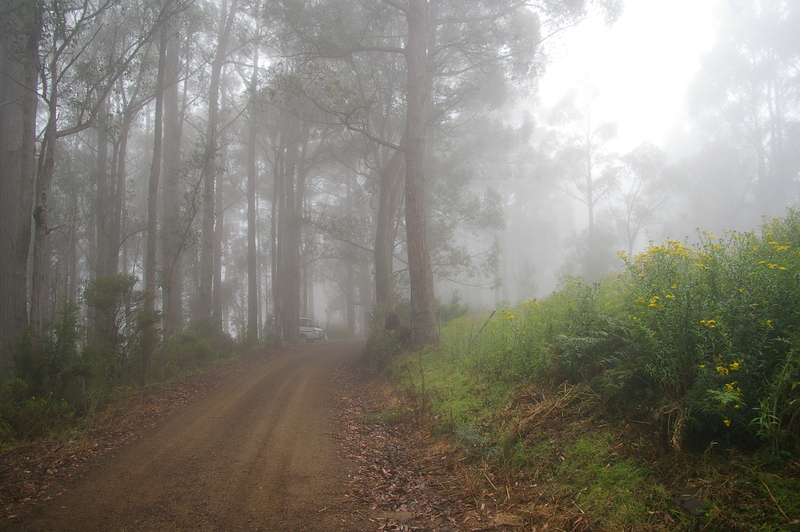 This is a steep walk on a well graded (at the time of writing) track for about 1.5km. Toward the top we started hearing voices and realised that there were two riggers on the first Telstra Tower. We had a chat with them on the way back down the track after the activation. 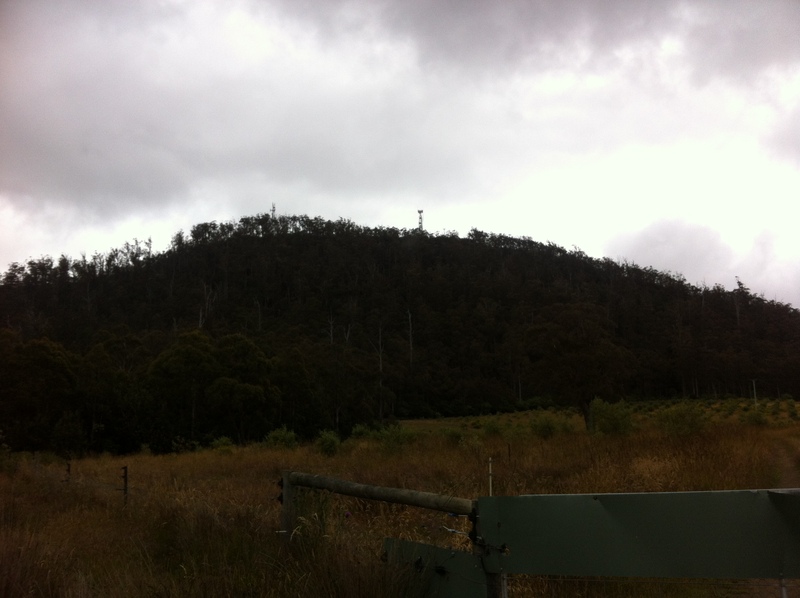 There one large Telstra tower and compound and then 300-400m further on there is another Telstra tower and compound and then behind that is the Tasmania Fire Service tower and hut. 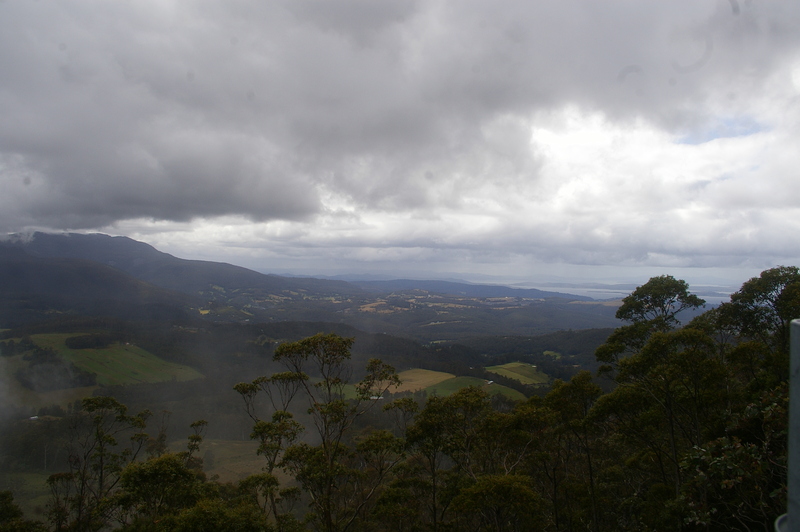 You can carefully climb on the top of the TFS hut and get good views (when there is no low cloud!!). The TFS monitor this site with CCTV and a TFS friend MMS’d me through a pic from this system whilst we were there – Thanks Anders! 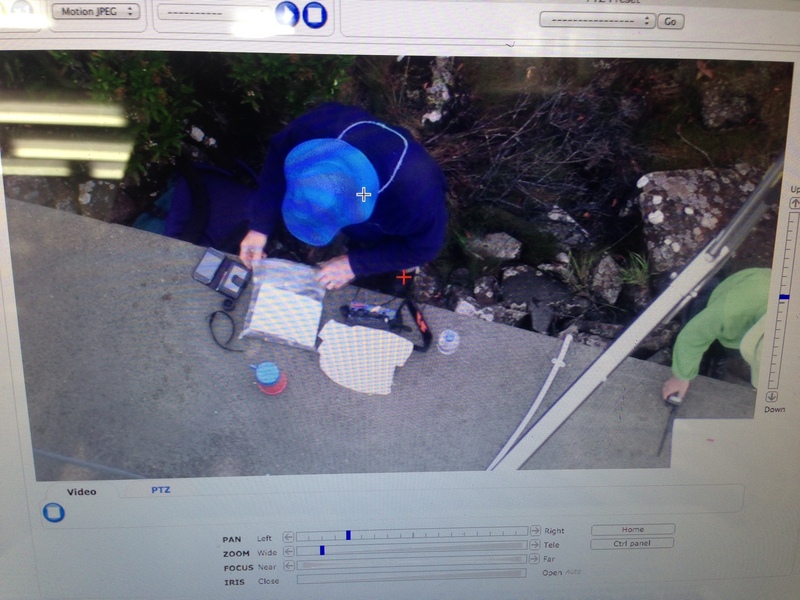 Tas Fire Service CCTV of our activation! We worked Peter VK3PF/7 on Legges Tor (VK7/NE-001) and many other chasers mainly on 40m and a few 2m contacts. We setup the dipole right next to the TFS hut and this was probably a mistake as the RF noise on all other HF bands except 40m was 5/9+. 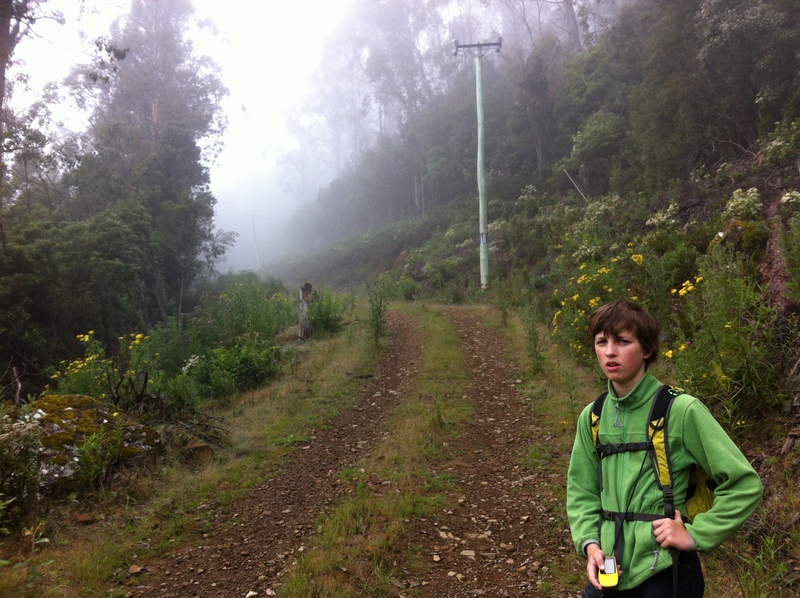 We could have moved to between the Telstra compounds and found a RF quiet zone however we were running out of time. A huge thank you to all amateurs who contacted us and Peter for being on Legges Tor. That’s three summits in three days. Speak to you on a summit soon! This entry was posted in First Activation, SOTA Activation and tagged Herring Back, VK7/SC-009. Bookmark the permalink.